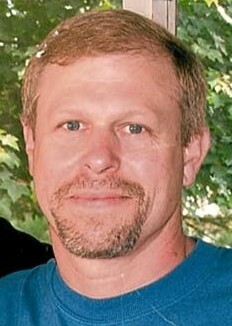 Robert B. Harris 56 of Rootstown died Wednesday, September 12, 2018 at his home following a four year battle with cancer. When diagnosed he was given one year to survive with traditional treatment. After extensive research, Rob chose his own path, livivng a total of 4 years, in relentless pursuit of a cure. He was born May 7, 1962 in Cleveland, OH to John D. and Margaret E. (Christian) Harris. Robert was a US Air Force Veteran and a longtime member of the NRA. He worked for Schneller Aircraft Interiors and an avid outdoorsman who enjoyed golfing, fishing and gardening. Survivors include his siblings Carl (Cindy) Harris, Chad (Nancy) Harris, Craig (Denise) Harris, Sirrah (Steve) Medeiros and Roger Harris and many nieces and nephews. He was preceded in death by his parents and a brother John D. Harris, Jr. The family would like to extend special thanks to Crossroads Hospice. Calling hours will be from 2 - 5 PM Sunday, September 16, 2018 at Shorts Spicer Crislip Funeral Home Ravenna Chapel. A graveside service will be held at 1:30 PM on Monday, September 17, 2018 at Homeland Cemetery in Rootstown with Chaplain Bill Wisniewski officiating.